This entry was posted in Premium Membership and tagged Algos, Introducing, plan, trading, webinars, weekly on May 15, 2017 by caustic. 42:04 use simulink model explorer to change data type, not fan_mode_type is a class define m function. 4:50 self transition exit state but renter same state. Value t automatically refers to simulation step time. This entry was posted in Matlab and tagged notes, Stateflow, webinars on August 4, 2015 by caustic. This entry was posted in Matlab and tagged Matlab, Stateflow, tutorial, webinars on August 4, 2015 by caustic. RStudio for R has webinars? BIG MUCHO Thanks to probably my biggest and most active supporter! This entry was posted in R and tagged R, RStudio, webinars on May 13, 2015 by caustic. Join us online to learn more about MATLAB and Simulink. Each live webinar is free and features application demonstrations followed by a Q&A session with a MathWorks Engineer. Learn how you can use Simulink to design, simulate, implement, and test a variety of time-varying systems, including communications, controls, signal processing, video processing, and image processing. Learn strategies and techniques for handling large amounts of data in MATLAB. Learn the workflow for generating readable and portable C code from your MATLAB algorithms using MATLAB Coder. Who should attend? All educators, academic researchers, and students are welcome to attend these complimentary webinars. Please forward this email to anyone who may be interested in attending. Can’t Attend? The recorded webinar will be posted within a few business days of the live session. You can view these recorded webinars and many others at mathworks.com/academia/webinars. This entry was posted in Uncategorized and tagged C++, converting, Intro, language, Matlab, programming, Scripts, Simulink, Tackling Big Data, webinars on October 23, 2014 by caustic. Learn how MATLAB can supplement your Excel use by providing access to thousands of pre-built engineering and advanced analysis functions, and versatile visualization tools. Learn state-space models can be defined, calibrated, estimated, and used to forecast time-series data sets with MATLAB. Learn how to use MATLAB to generate readable and portable C code and then how to integrate it into an iPhone or iPad app. This entry was posted in Matlab and tagged Academic, Apple, application, development, Excel, iPad, iPhone, Matlab, Sessions, upcoming, webinars on July 24, 2014 by caustic. oin us online to learn more about MATLAB and Simulink. Each live webinar is free and features application demonstrations followed by a Q&A session with a MathWorks Engineer. Learn how Simscape enables engineers to work within the Simulink environment to model physical systems, including electrical, mechanical, and hydraulic components. Learn how you can connect Simulink with code-based simulation frameworks. Learn how to use MATLAB and computer vision algorithms to solve real world imaging problems. This entry was posted in Matlab and tagged connecting, frameworks, Matlab, Modeling, Physical, Simscape, simulation, Simulink, webinars on May 22, 2014 by caustic. ENHANCE YOUR SKILLS. ADVANCE YOUR CAREER. MathWorks instructors use a variety of techniques, including innovative training materials and hands-on labs, to reinforce concepts and build proficiency using MATLAB and Simulink products. Learn more about MathWorks training offerings below. Learn the essential skills required for financial professionals to become competent MATLAB users. Innovative training materials and hands-on labs enrich the learning process. This convenient training option allows you to learn MATLAB and Simulink at your own pace. on future classes. Request more information. This entry was posted in Matlab and tagged lgorithm, Matlab, model, Quant, research, strategy, trading, webinars on May 5, 2014 by caustic. 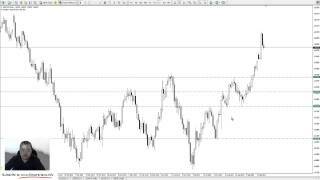 This entry was posted in Featured, Forex and tagged d Hedge Risk, ForEx, FX, Interactive Brokers, options, positions, Single, Spot, stock, trade, webinars on April 9, 2014 by caustic. See strategies and techniques for speeding up your MATLAB applications. Included are tips on how to optimize the performance of the code itself and products to take advantage of advances, such as multicore CPUs and computer clusters. In this webinar we introduce you to Simulink, an environment for multidomain simulation and Model-Based Design for dynamic and embedded systems. Learn how to deploy MATLAB applications and components. This entry was posted in Matlab and tagged . App. Development, Academic, Matlab, Sessions, Simulink, Speeding up, upcoming, webinars on April 4, 2014 by caustic.